Guatemala is a great place to see sights you probably not going to see anywhere else. Things like smoking volcanoes, world-famous coffee fresh from the slopes where it’s grown and roasted, and ruins of the once-great Mayan civilization. 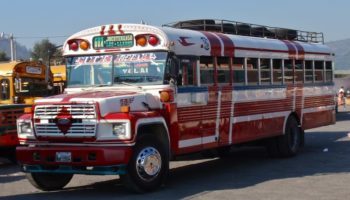 Guatemala is a place to mingle with the locals, including roaming the country in a colorfully painted former school bus, called a chicken bus. 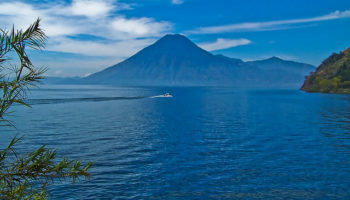 Oh, the country has some great beaches and stunningly blue lakes, of which Lake Atitlan is the most famous. So, gringos, it’s time to pack those bags and vamoose! Getting to Semuc Champey involves a 30-minute ride over bumpy roads through a jungle, but the trip is well worth the bounces. Once you get there, you can relax the bumps away with a swim in gorgeous turquoise blue pools atop a natural limestone bridge. Equally incredibly turquoise blue is the Cahabon River that created the limestone bridge and now runs under it. Caves can be found within the limestone bridge; some caves are accessible only by swimming underwater. The town of Todos Santos Cuchumatán, in a province with the same name, is a good place to see native Guatemalans wearing traditional clothing on a daily basis. It’s one of the few places in the country where this still occurs. The residents are predominantly Mayan and still speak that language. Located in the mountains of the Sierra de los Cuchumatánes, the town is noted for its annual All Saints Day celebration (Todos Santos translates as “all saints.”) The celebration features music, dancing, lots of alcohol and horse races. Livingston is one of Guatemala’s gems tucked away on the Caribbean coast, and can only be reached by boat. Fortunately, two ferries head out and back each and every day. The town is the hub of the Garifuna culture, meaning tourists have a chance to taste the local menu and music during their visit. Evenings in Livingston are full of excitement and you may just have the opportunity to take part in the Punta, a regional dance with an incredible beat. The name may be a mouthful, but Quetzaltenango has been described as the perfect Guatemalan town. 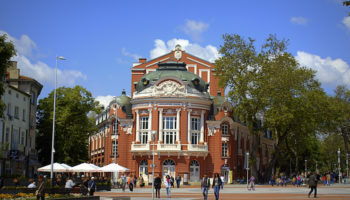 It’s the country’s second largest city, but is not considered big nor is it considered too small. Quetzaltenango is also known by its Mayan name of Xela. 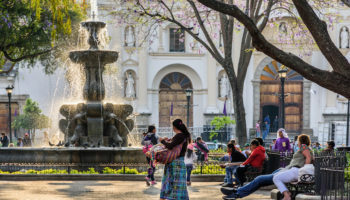 The Germans moved in after the Spanish left, giving this former coffee-growing center the multi-cultural feel that can be found in the Central Plaza, home to the Catedral de Espiritu Santo. The city is a jumping off point for hikes to Laguna Chicabal, a doormat volcano, and the active Santa Maria volcano. 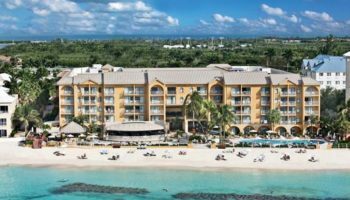 Many people gravitate to white-sand beaches for a little rest and relaxation. You won’t find those at Monterrico, a popular beach resort on Guatemala’s Pacific Coast. The beaches are volcanic black ash. You’ll want to bring sandals if you plan to do any beachcombing, as the sand can be too hot for bare feet. It has nice waves for surfing, but Monterrico’s main attraction may be the sea turtles. The beach is the breeding ground for four species of sea turtles. 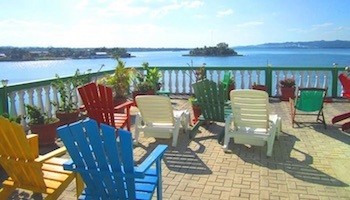 Flores is a located on Lake Petén Itzá and connected to land by a causeway, on the other side of which lie the twin towns Santa Elena and San Benito. It was here, on the island of Flores, that the last independent Maya state held out against the Spanish conquerors. 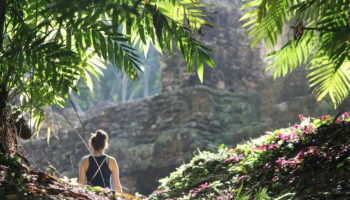 For many tourist, the main reason to visit Flores is its proximity to the famous Maya ruins of Tikal. But the island city itself is a great place to visit in Guatemala, filled with colonial, red-roofed buildings, narrow cobblestone streets, a historic church and many hotels and restaurants. There’s just something about the name Chichicastenango that makes you want to visit. Maybe because it’s a good place to immerse yourself in the Mayan culture – almost 100 percent of the town’s population is Mayan K’iche. 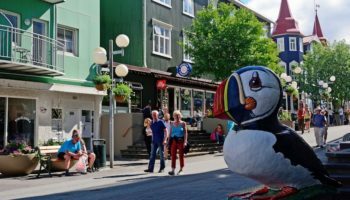 Maybe it’s because of the fantastic Thursday and Sunday market, where you can buy everything from food and colorful women’s blouses to lime stones for making tortillas and traditional carved wooden masks. Adjacent to the market is the Church of Santo Tomas, built on the site of a pre-Columbian temple. Panajachel, a lakeside town in the southwestern central highlands, is named after the indigenous word for a tropical fruit, the white sapote. The town sits on the shores of Lake Atitlan, which, with Sierra Madre volcanoes on the other side, dominates the landscape. Atitlan is the deepest lake in Central America. This former Spanish colonial town, with its busy marketplace, is reputed to be the best place in Guatemala to buy souvenirs. 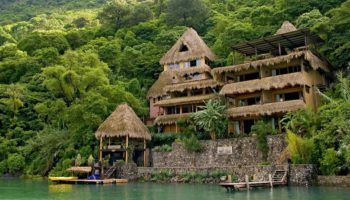 It also makes a good place to explore surrounding native villages around Lake Atitlan, which are accessible by private boat. 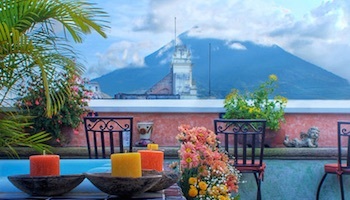 Antigua Guatemala is a charming colonial city in Guatemala’s central highlands and one of the best places to visit in Guatemala. More commonly known as just Antigua, it once served as the capital of the Kingdom of Guatemala. Today it is better known for its well-preserved Spanish baroque architecture. Spanish conquistadors came to the area in 1543, making Antigua the capital of their Central America holdings. Frequently stricken by earthquakes, Antigua also is well known for its ruins of old Spanish cathedrals, including the church of San Francisco, which has been destroyed a couple of times. 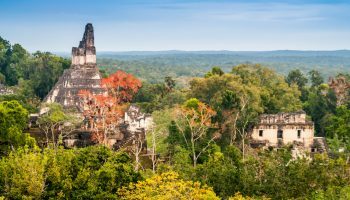 If you’ve seen the first Star Wars movie, you may recognize Tikal, one of the most important archeological ruins of the pre-Columbian Mayan civilization. Tikal, which date back to the 4th century BC, was the capital the powerful Mayan kingdoms. At its height, Tikal had about 3,000 buildings spread over several square miles. Be sure to visit the Great Plaza in the center; it’s flanked by the ruins of two temple-pyramids. 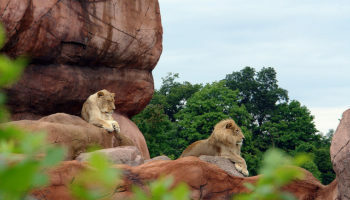 In fact, temples, pyramids and palaces dominate the site. Which destination do you consider the best place to visit in Guatemala?